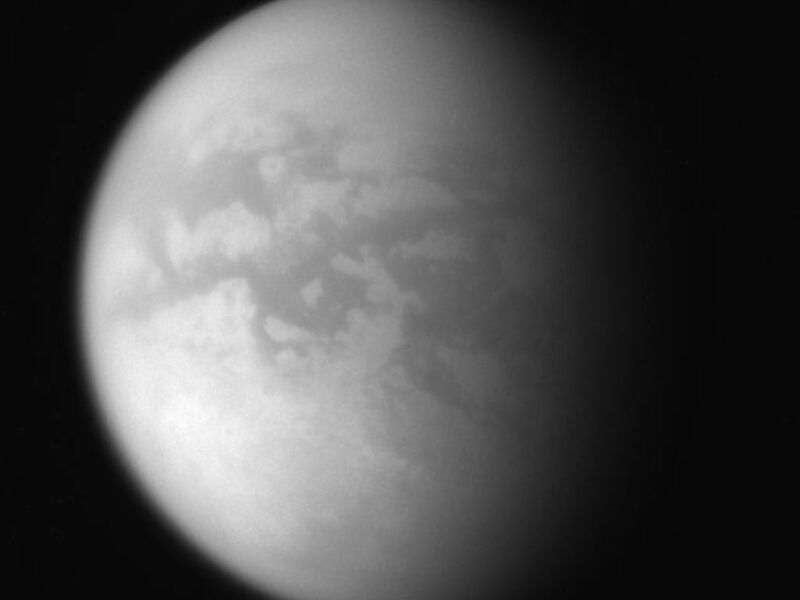 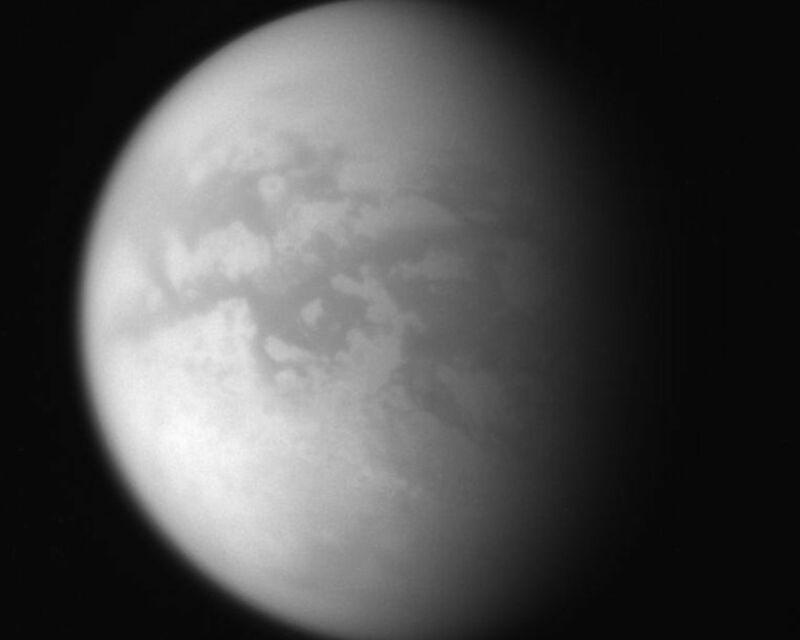 Cassini's flyby of Titan on July 22, 2006 sent the spacecraft into a more inclined orbit of Saturn. This remarkably clear view from that flyby shows the moon's characteristically dark mid-latitudes, and more southern terrain than the Cassini spacecraft has usually been able to glimpse. 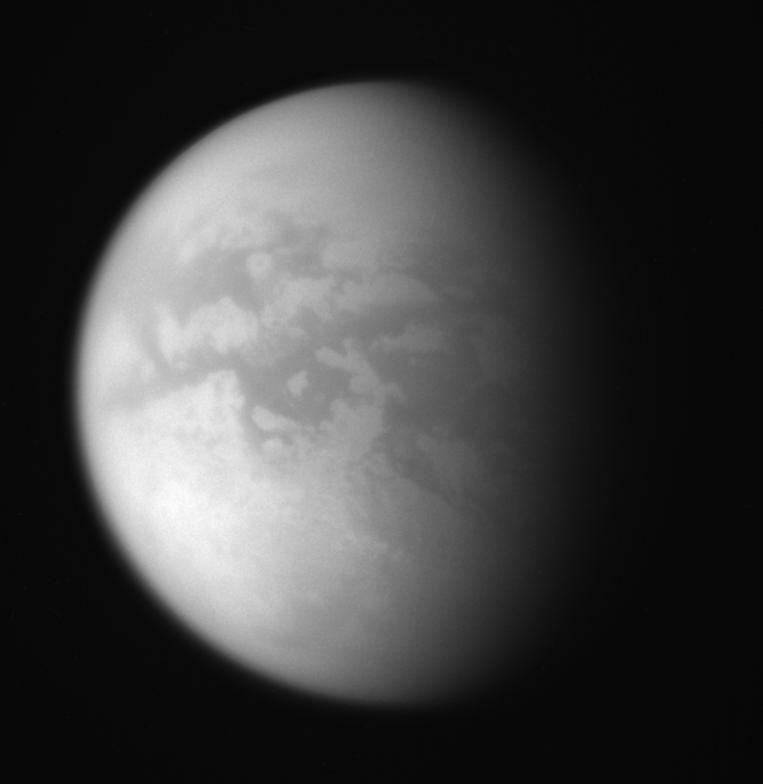 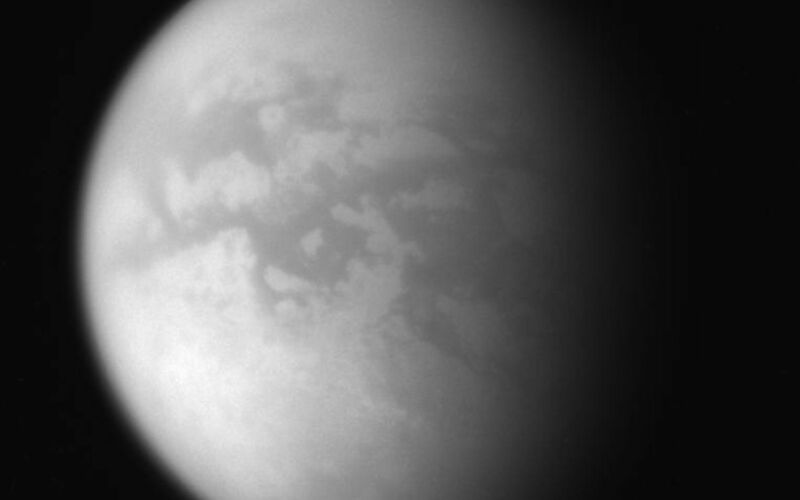 This was the first in a series of "illuminated outbound flybys" of Titan (5,150 kilometers, or 3,200 miles across) where the illuminated hemisphere was visible following the closest approach.